Math Lab is a state-of-art mathematics . 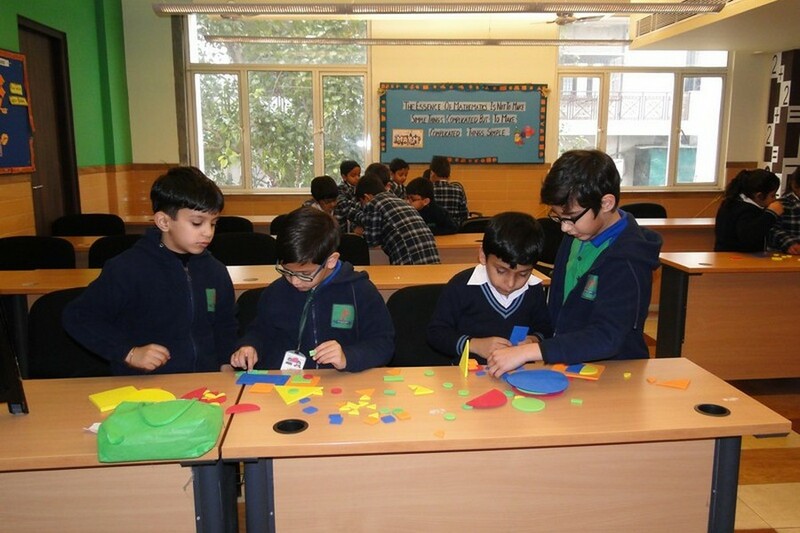 It offers Multiple Teaching and Learning aids as well as a complete theme based ambience which helps students to visualize and feel mathematics. 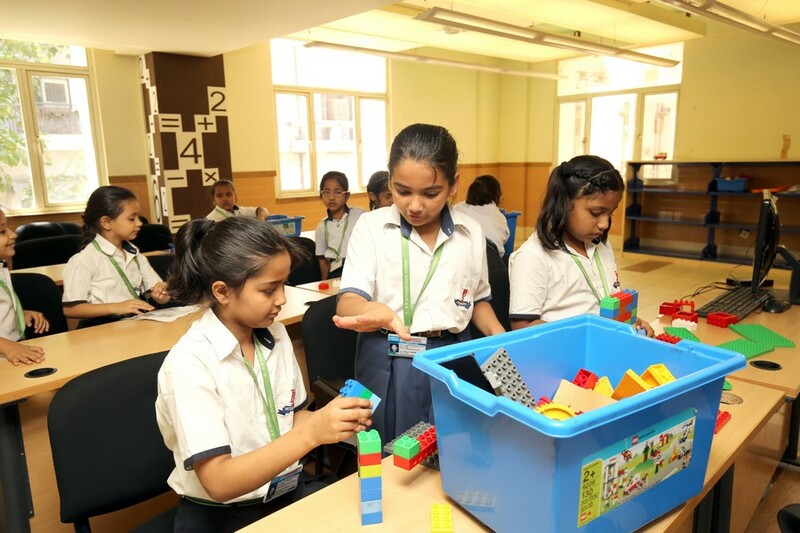 Based on the three pillars of ‘Imagination, Investigation and Interaction’, it provides an opportunity to students to understand, internalize, discover and verify the basic mathematical and geometrical concepts through concrete objects and situations. It provides an opportunity for the students to discover through doing, which lays down a base for more abstract thinking. It gives more scope for individual participation. It encourages students to become autonomous learners and allows a student to learn at his or her own space. It widens the experiential base, and prepares the ground for later learning of new areas in mathematics and of making appropriate connections. In various puzzles and games, the students learn the use of rules and constraints and have an opportunity to change these rules and constraints. In this process they become aware of the role that rules and constraints play in mathematical problems. 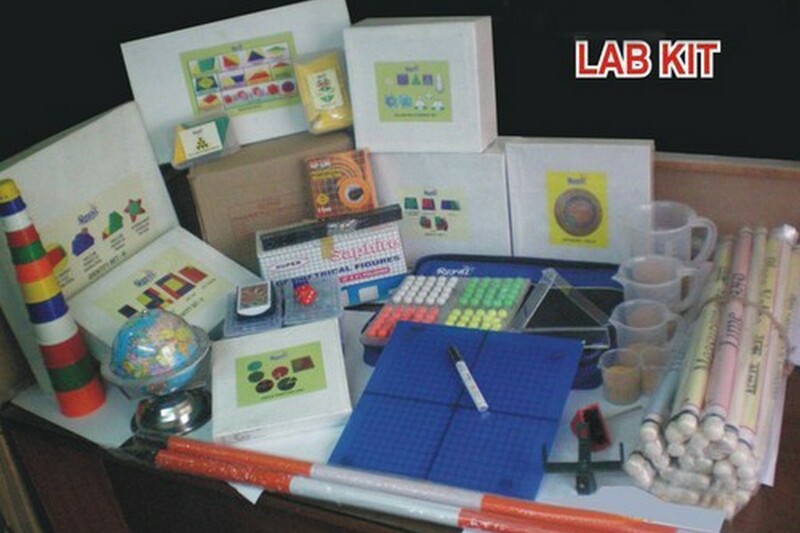 It builds up interest and confidence in the students in learning and doing mathematics.